Spelling practice for beginners. Let your students test their spelling on elementary vocabulary. It is a ws that will keep the students busy for some time and give you time to help the ones who need your help. 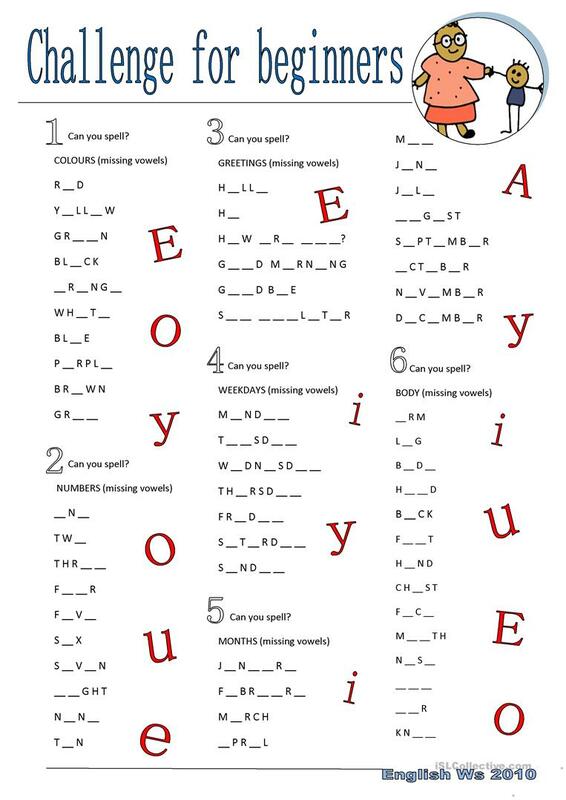 The above downloadable worksheet is a great resource for elementary school students and kindergartners and nursery school students at Beginner (pre-A1) and Elementary (A1) level. It focuses on the vocabulary topic of Days of the week, Family, Food and Holidays.